The mission of the MIS Department is to provide reliable and secure solutions to support the City of Racine's technology needs. The MIS Department is responsible for the 24-hour per day operations of all technology and technology-related infrastructure for the city. 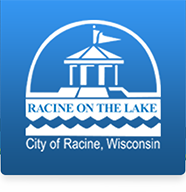 The department provides guidance and expertise in the development, deployment, application and maintenance of hardware and software to improve efficiency for the various City of Racine departments. The MIS Department supports over 500 users in over 20 departments thoughout the city.